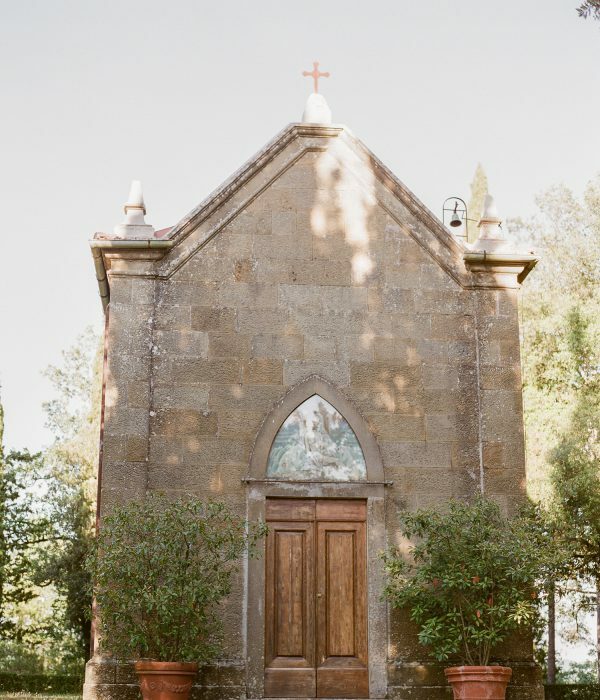 Tuscany, and its villas, castles, countryside mansions, romantic little churches are the ideal location for a religious ceremony or a blessing. Whether the civil ceremony is held in Italy or in your home country, you can then fly to Tuscany to have your religious ceremony. 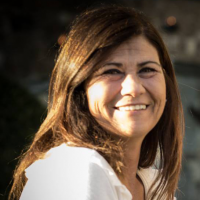 Furthermore, Italian law allows for a Catholic ceremony, or other religious ceremonies solemnized by a minister of church recognized by the Italian government, to have value also from a legal point of view. Your wedding planner will masterfully provide for thorough assistance with paperwork handling so that the entire process will be made extremely smooth for our eloping couple. Just imagine a Romanesque or a Medieval little chapel nestled amidst soft rolling hills, or even in the center of Florence. Its mystic atmosphere will be made even more romantic with candles and rose petals that will mark the aisle. The reflections of the suffuse candlelight on the ancient walls in the church will literally create a postcard that will magically frame the newlyweds at the altar. Whether you choose a city church or a countryside chapel, your imagination will be fully fulfilled. Italian historic churches are indeed part of our artistic heritage. Some of them are true coffers of art, hiding masterpieces behind the aisle or the altar. Worthwhile mentioning is the fact that sacred art in Italy from the Middle Ages down to the 19th century has produced most of the paintings and sculptures that can now be admired inside museums. Yet, many of these churches still preserve outstanding works of art that are jealously kept and that can be enjoyed by the wedding party. Not to be missed for a religious ceremony held in a Catholic church is organ music, which will add to the solemnity of the wedding. Most of the churches display organs from the 16th and 17th centuries; they are masterfully maintained and the talented hands of Master organists will yield a melody that will remain indelible in your memory. Alternatively, a blessing can be held of the grounds of a Villa or a Castle, on their flourishing gardens in spring and summer. This private wedding ceremony will be a unique event shared by and between you, your relatives and friends. The exchange of your wedding vows will be a true promise of eternal love not bound to any juridical ties but to your willingness and desire to spend your future together. The ceremony text will foresee the official wedding vows that you will exchange and a selection of passages from classic and contemporary literature. Of course, personal vows and/or readings chosen specifically by you can be added on request. Having a blessing organized on the grounds of a Villa or Castle also offers the advantage of having the entire wedding party gathered in the same location where the reception will be held. In fact, after the ceremony, cocktails and finger food can be served in a separate area of the garden, followed by a triumphant wedding banquet. This way only transportation to the Villa and the way back will be arranged, since all of the events (wedding ceremony, cocktails, dinner and wedding party) will take place in the same location. 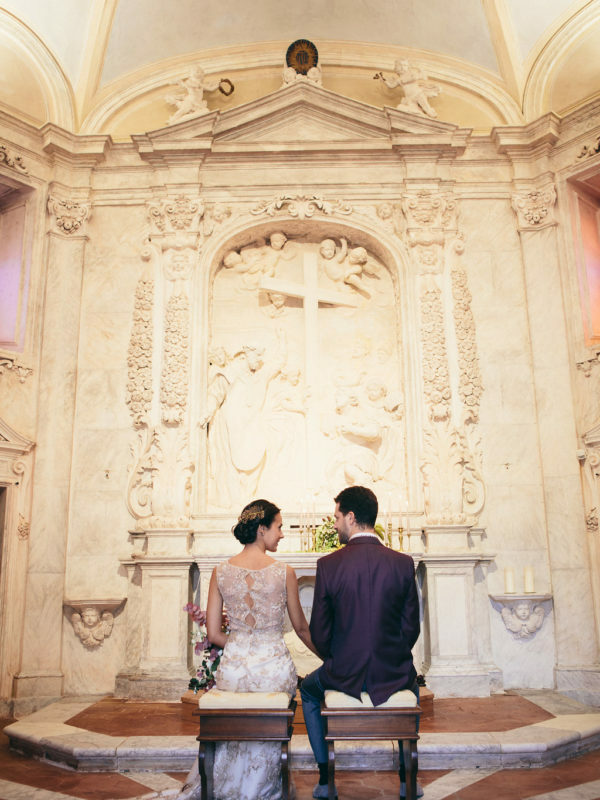 For those who wish to have their civil and legal wedding ceremony celebrated in Italy (the city hall or other structures that are granted the authorization to hold a civil wedding by the City), followed by a blessing on the grounds of the Villa, the various events can be planned on the same day. For instance, the wedding party can be escorted to the city hall for the civil wedding in the morning, then taken back to the villa for a light lunch, where they will remain to enjoy the afternoon blessing followed by the reception. A truly Big Day rich with special events and emotions. Your wedding planner will propose a myriad of solutions to have the gardens of the villa (or indoor premises in case of bad weather) richly decorated to create the ambience you have always dreamt of. Spectacular cascades of flowers, or arches decorated with flowers: the most romantic of altars where the bride and the groom will exchange their vows before their guests seated all around them in a theater-like layout.